Camera CMOS MT9M111(C) 1280x1024 pixels allows you to watch the observed under a microscope image on the computer screen. Includes software and drivers: ToupView Windows (all versions x86 and x64), MacOS and Linux. Camera CMOS MT9P001 2592x1944 pixels allows you to watch the observed under a microscope image on the computer screen. Includes software and drivers: ToupView Windows (all versions x86 and x64), MacOS and Linux. Camera CMOS MT9T001 2048x1536 pixels allows you to watch the observed under a microscope image on the computer screen. Includes software and drivers: ToupView Windows (all versions x86 and x64), MacOS and Linux. 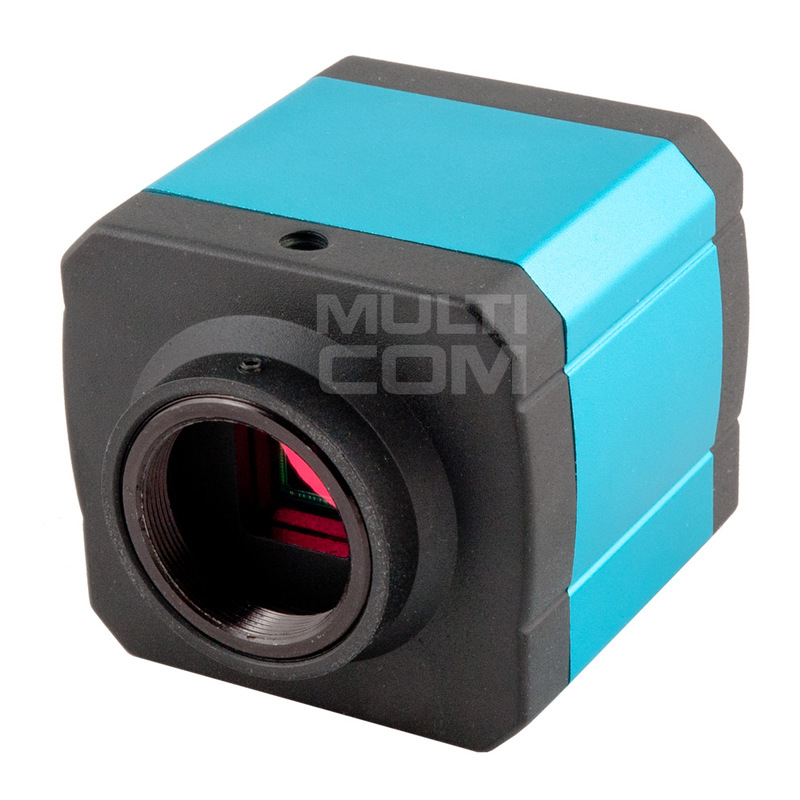 Camera XCAM1080PHA is a multiple interfaces (HDMI+USB2.0+SD card, so X here means multiple interfaces) CMOS camera and it adopts ultra-high performance CMOS sensor as the image-picking device. USB2.0 is used as the data transfer interface. For HDMI output, a camera control panel and toolbar are overlayed on the HDMI screen, in this case, the USB mouse can be used to set the camera,browse and compare the captured image, play the video etal. 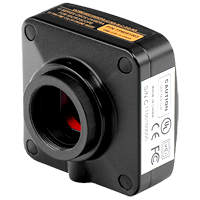 Camera XCAM1080PHB is a multiple interfaces (HDMI+USB2.0+SD card, WiFi, so X here means multiple interfaces) CMOS camera and it adopts ultra-high performance CMOS sensor as the image-picking device. USB2.0 is used as the data transfer interface. For HDMI output, a camera control panel and toolbar are overlayed on the HDMI screen, in this case, the USB mouse can be used to set the camera,browse and compare the captured image, play the video etal. Digital camera DEM200 CMOS USB 1600x1200 pixel when connected to a USB port on your computer you can watch and record video. The set includes the necessary software. 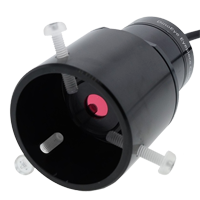 This unit is compatible with biological microscopes with a diameter of 23 mm eyepiece and stereomicroscope with a diameter of 30 mm and 30.5 mm eyepiece (included the necessary adapters). Digital eyepiece / camera is mounted instead of the eyepiece, or for the head Trinocular microscope with appropriate optical connector adapted for filming / photography. Automatic installation on Windows 2000/XP (SP2) / 2003/Vista/2008 (32bit and 64bit), no drivers required. 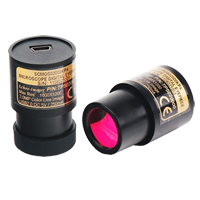 Dino-Eye USB Camera AM423U is a special overlay to the eyepiece of the microscope, which changes the traditional microscope on a digital microscope. AM423U is a universal eyepiece, which fits into the existing glasses with a size of up to 36 mm. USB Camera SCMOS02000KPA 1600x1200 with Aptina CMOS Special Sensor(Color) allows to watch observed items directyl on computer screen. In complete software. System requiment: Windows (wszystkie wersje x86 oraz x64), Linux, Mac OS X. Microscope LUKE 14MP HDMI Camera is a camera equipped with HDMI, USB 2.0 connectors, an SD card reader that allows you to view both using a connected computer with a USB port as well as a monitor with an HDMI input. The LUKE model allows you to preview images in HDMI 1280 * 720 resolution. USB Camera SCMOS00350KPA 640x480 with Aptina CMOS Special Sensor(Color) allows to watch observed items directyl on computer screen. In complete software. System requiment: Windows (wszystkie wersje x86 oraz x64), Linux, Mac OS X.
USB Camera SCMOS01300KPAUSB 1280x1024 with Aptina CMOS Special Sensor(Color) allows to watch observed items directyl on computer screen. In complete software. System requiment: Windows (wszystkie wersje x86 oraz x64), Linux, Mac OS X.
USB Camera SCMOS05000KPA 2592x1944 with Aptina CMOS Special Sensor(Color) allows to watch observed items directyl on computer screen. In complete software. System requiment: Windows (wszystkie wersje x86 oraz x64), Linux, Mac OS X.